Enjoy the south Istria from the sky. 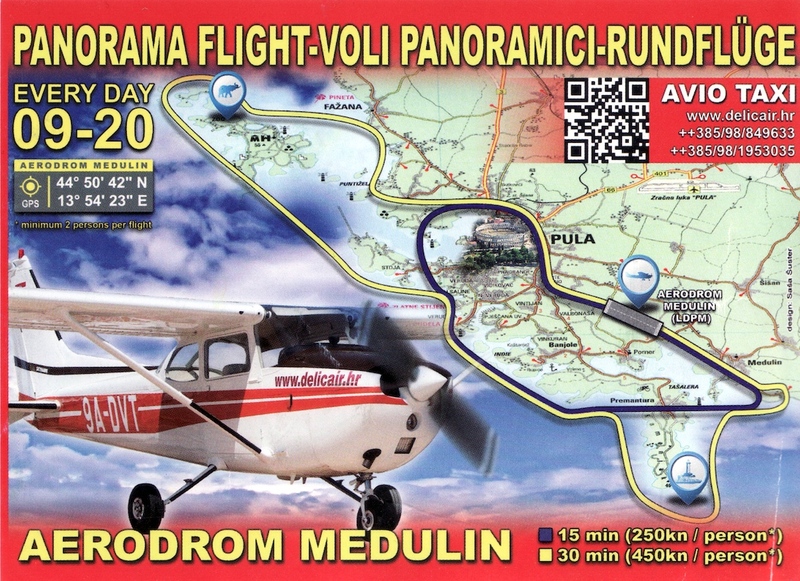 Three flights available departuring from the airport located between Medulin and Pula. The shortest over Medulin, Premantura, Verudela and Pula. The second and the third one including the flights over the national park Brijuni and the city of Rovinj. 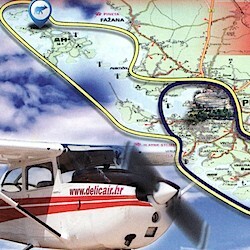 The panoramic flights are operated by Delic air. More informations availabe at Delicair.